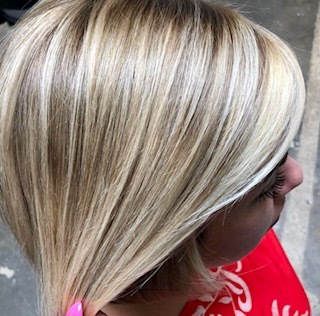 Balayage is a technique for highlights, but both traditional foiling methods and freehand like balayage have always been a color staple at Studio 39. Whether dramatic or natural, highlighting is a way to keep contrast and dimension in hair. We have signature formulas for brunettes and blondes and beautiful customized coppers and strawberry blondes for reds as well. Like all color, it’s about placement and formulation. You can build blonde over time or stay natural with lowlights added for dimension. Our color approach is rather evolved at Studio 39 and every color here is custom. 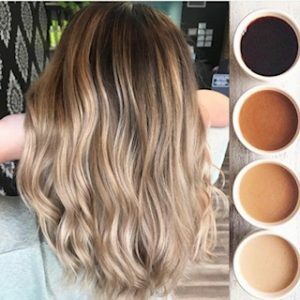 Many salons may say that, but we have noticed over time our industry tends to either place women inside color trends that may not be right for them or hair is “under colored” with color formulas and techniques that are slightly antiquated and basic. The hair aging process starts younger than you might think. The average age woman begins graying is in their 20’s. Cover is important if you want to mask or camouflage them. We have formulas for every level of gray from translucent for very few to opaque which has more pigment for heavier gray. One of our highlighting specialties is covering gray and maintaining highlights. That’s tricky for a lot of colorists because color darkens and adds color whereas highlighting lifts and brightens. We have a *Baly & Base service created by S39 owner that gives coverage and depth at the root, while blending seamlessly into highlights. We use this technique frequently. We also refer to as a color flow or color melt. The technique can used if you don’t have gray as well. The formula is tweaked for various color scenarios and can be used as a finish to any color. There are 4 key things we look at when assessing color and contrast work. If you wear makeup, hair color should be part of your routine. Over the year hair becomes unbalanced in color and tone and we maintain the color to keep hair balanced for the season. Most brighten in the spring and keep some depth in fall. Everyone can benefit from a some form of color but especially a highlight service because highlights naturally catch light which is flattering to the face. This is especially important as a woman ages. If you think you’re saving money by stretching appointments, think again. Full highlights on long hair at $250. 4 x a year= $1100. A partial at $150 x 6= $900. A partial is work done on areas that need color. We recommend maintenance every on 6-8 weeks. Studio 39 was one of the first salons in Kansas City’s to perform balayage, and it has come a long way since 2004. Balayage is a form of hair painting that is a free hand technique. It means “to sweep” in French, and we perform traditional balayage highlights as well as newer techniques like foilayage. These are terms used in the salon that have become more mainstream because of search terms and social media. 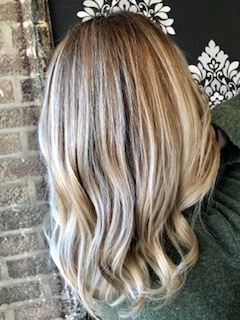 We often need to clarify “balayage” basically means highlighting done with bleach work and blonde color placement that is more specialized and customized. Whether traditional or advanced, all our color work is custom through formulation, technique is what helps it become more tailored for the individual. Newer techniques like foilayage are good for blonder results. We often use this when lighter looks are needed for color melting and rooted effects. 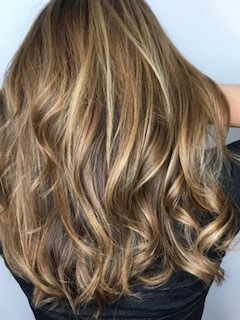 Traditional balayage is where a colorist applies a special type of thicker lightener by a paddle and brush in a sweeping motion directly to the hair without a foil or additional color tool. Either way, it is very important that the colorist is correctly trained. Since this is one of the color services we are known for, our entire staff has received advanced education on these techniques. The balayage technique is now a salon staple service. It can be used for the ombre and sombre hair color and to achieve natural looking blondes. 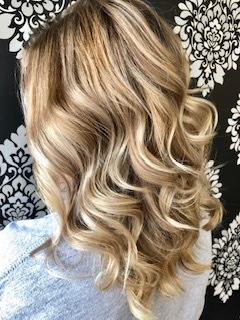 With traditional balayage foil is not used.Balayage can help blondes achieve that gorgeous Hollywood blonde; and brunettes can get the popular sun-kissed look. There are many variations of balayage now, make sure you feel confident in the salon you choose.